When a nursing home allows a patient to develop bed sores due to inadequate care or failure to address individual health concerns, it is likely time for the patient and/or his or her family to pursue legal action in response. In San Antonio, Texas, Emilio Gonzalez was a resident of the Retama Manor Nursing Center before his death due to pressure ulcers. His family claimed the nursing home failed to take adequate preventive measures and caused Emilio to develop pressure ulcers that eventually led to his death. Investigators became aware of potential nursing home abuse when Emilio arrived at Southwest General Hospital from the Retama Manor Nursing Center. Attending staff noticed he had two pressure ulcers on his buttocks that had progressed to the necrotic stage, and the open wounds were causing Emilio tremendous pain. He also showed signs of dehydration, symptoms of pneumonia, and had lost nearly 30 pounds since entering Retama Manor Nursing Center. Staff at Southwest General Hospital contacted state investigators from the Department of Aging and Disability Services to launch an investigation of nursing home abuse at Retama Manor Nursing Center. Unfortunately, the investigation proved to be too little too late as the investigators failed to meet state regulations and found no wrongdoing on the part of the nursing home. Retama Manor Nursing Center is a relatively run-down facility with minimal amenities for residents, but investigators found the facility clean and free of unpleasant odors. Retama Manor Nursing Center has a "below average" review score from Medicare with only two of a possible five stars, and the facility regularly fails to meet the national average for individual care from registered nurses, averaging about 20 minutes per patient per day compared to the national average of 36 minutes. Poor enforcement of state regulations for investigating claims similar to Emilio Gonzalez's situation is an unfortunately common occurrence. State investigators did not take timely action and as a result, Mr. Gonzalez passed away about one week before investigators even arrived to ask him questions. While examining the nursing home's records, investigators noticed that the observations made concerning Mr. Gonzalez's bed sores stopped two weeks before his admittance to Southwest General Hospital, despite state law requiring weekly observations at a minimum. However, the inspector did not issue a citation against the nursing home for this oversight. When he arrived at Southwest General Hospital, Mr. Gonzalez's bed sores had worsened dramatically compared to the last recorded observation conducted at Retama Manor Nursing Center. Hospital staff also identified symptoms of pneumonia, dehydration, and malnourishment, more signs of neglect from Retama Manor staff. Bed sores or pressure ulcers are open wounds that require careful treatment and preventive measures. Nursing home staff generally reposition their patients at least every two hours, sometimes more based on individual health conditions. For example, patients who suffer from poor blood circulation, diabetes, lower extremity disability, and malnourishment face a substantially higher risk of developing bed sores than healthier patients. Nursing homes must take these risk factors into account and develop individualized treatment plans for every patient. If a nursing home patient develops a bed sore, the likely cause is that his or her caregivers failed to account for individual risk factors or did not stick to an appropriate repositioning schedule for the patient. Bed sores are entirely preventable with appropriate care; a patient's higher individual risk of bed sores due to circumstances he or she cannot control is not a mitigating factor in a nursing home's liability for a patient suffering a bed sore. Nursing homes must develop clear, responsible policies for preventing bed sores among their patients and staff members must adhere to these standards. When a patient suffers a bed sore, he or she will require careful treatment until the wound heals, and attending medical staff should take appropriate steps to prevent the formation of more pressure ulcers. When a nursing home lawsuit involves a bed sore, the injured patient and his or her loved ones may pursue compensation for damages such as increased medical expenses, lost income from time spent caring for an elderly loved one with a bed sore, and pain and suffering damages. Bed sores pose a serious risk of infection to an already high-risk group of older individuals with other significant medical issues. Nursing homes that fail to properly care for these patients not only face future liability for personal injury claims, but also wrongful death claims in the event a patient dies from bed sore-related complications, like in the case of Emilio Gonzalez in San Antonio. The family of Mr. Gonzalez must prove in court that the Retama Manor Nursing Center failed to provide adequate treatment for Mr. Gonzalez and their failure directly contributed to his death. A wrongful death claim cannot replace a lost loved one, but it can secure compensation to help the surviving family members recover from the associated economic impact and compensate their emotional suffering by holding the liable party accountable for the damages caused. What are some common defenses used by nursing homes and hospitals in lawsuits involving pressure sores? Why are mentally disabled patients at risk for developing bed sores? 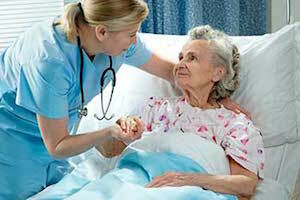 What are nursing homes required to do to prevent bed sores?